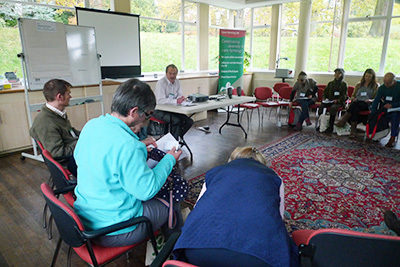 This year's LNFYS conference was be held at The Priory Rooms Conference & Meeting Place, Birmingham B4 6AF on 19th November. 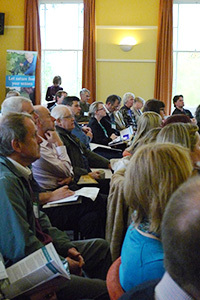 Find out more and read the presentations - here. 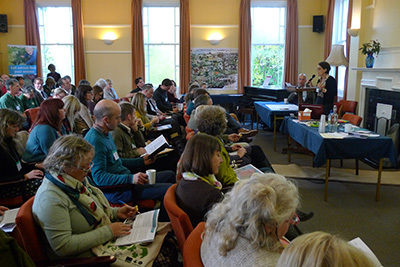 In 2013 the focus of the project has been on enhancing the sustainability of visits, and on 20th November 100 people attended the project’s annual conference in Birmingham to explore how farm visits can be sustained when the project comes to an end. Gavin Atkins from MIND’s ‘Eco-Minds’ programme and Rachel Stancliffe from The Centre for Sustainable Healthcare led workshops on ‘the way into health commissioning’; Corri Waitt from FarmAbility and Paul Barnes from Briercliffe discussed approaches to delivering services for individuals with personalised budgets; Beren Aldridge from Growing Well and Ian Egginton-Metters from Care Farm UK introduced the new Care Farming Code of Practice; Anne De Bock from Church Farm and Denys Fell from Densholme Care Farm shared their success at making links with local sponsors; and Rachel Bragg from University of Essex and Chris Leck from University of Worcester discussed the importance of gathering and utilising evidence of impact and introduced Social Return on Investment. Rachel’s handout is available here, and more details about the ‘Evaluate!’ tool Chris introduced is available from the Bulmer Foundation here. Jonathon Gardner from New Economics Foundation Consulting presented findings from his research with two mental health support groups, showing that significant savings to the state can be realised from a series of farm visits. One of the case studies he presented is available here. A further focus of activity this year has been on action research, which has involved developing inclusive research tools on eight farms. 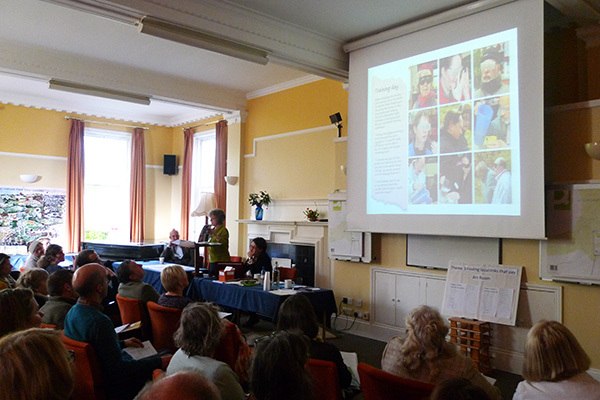 Three host farmers, Sue Padfield, Joy McCarthy and Sarah Giles, shared their learning at the conference. Look out for a report of action research learning which will soon be available. Thank-you to all our speakers, facilitators and delegates, for what was a really inspiring event!